Make an appointment without compromise by calling 952 060 523 or we can call you. 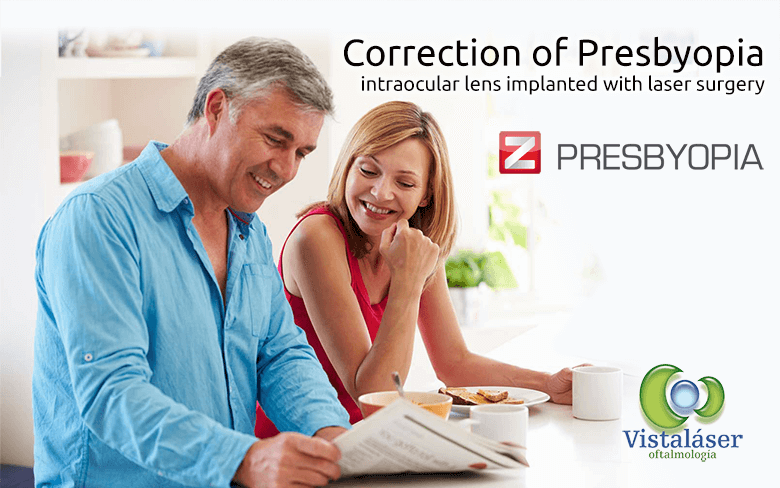 Presbyopia is the loss of flexibility in the lens which makes it difficult to focus up close. It appears from the age of forty onwards. The use of multifocal lenses is a definitive solution in the treatment of presbyopia. Lens implants are the most advanced solution in terms of design and technology since this prevents the need for glasses and allows you to focus at all distances. Thanks to the knowledge of techniques which change the asphericity of the cornea by laser, there is now a laser treatment called Óptima Próxima which allows the simultaneous correction of presbyopia and distance visual acuity. The ophthalmologist will inform you of the best solution for you. This technique to implant the intraocular multifocal lens consists in substituting the hardened and cloudy lens with an artificial, multifocal lens. The use of the femtosecond laser in replacing the lens with an artificial intraocular lens is an innovation with huge advantages in safety and quality of vision. The manual processes in traditional surgery are replaced by a pre-programmed laser. This corrects astigmatism with great precision and simultaneously ensures the optimal positioning and performance of the lens. With this system the eye will be able to focus up close, at intermediate distances and from afar without the need for glasses. The multifocal, intraocular lens does not change power to focus from afar or up close as the eye’s natural lens does. What happens is that three simultaneous focus zones are created in the retina, one for distance, one for intermediate and one for near vision. This, unlike glasses with progressive lenses, means that it is not necessary to look down to see up close and up to see at a distance. With progressive multifocal lenses you can see near, far or mid-distance from any positioning (up, down or face-on). The brain, naturally and without need for adaptation or learning, selects the image that it wants to use to see up close or at a distance. The lens that we replace with the intracoular lens is a natural lens that no longer carries out its function of allowing the eye to see up close and at a distance. During the ageing process it gets cloudy, simultaneously causing changes in the visual acuity. Removing the lens prevents the possibility of developing cataracts in the future and means the visual acuity will be stable and permanent making this a definitive solution for presbyopia. This is a useful treatment for people who find that both their near and distance vision has deteriorated with age, meaning they require glasses to see correctly. 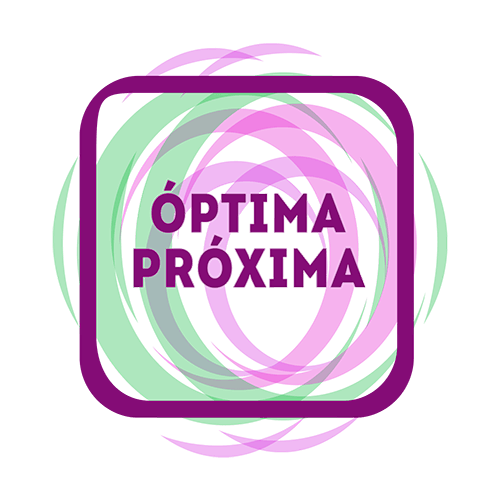 Óptima Próxima gives you back a great amount of autonomy when seeing without glasses at any distance. Activities like driving, watching television, walking, playing sport, working with a computer, or checking your mobile phone can once again be carried out naturally and without glasses or contact lenses. Only when it is necessary to read small print or during extended periods of time will it be useful to use glasses with a low-prescription. Óptima Próxima is based on the modification of the corneal asphericity using a laser; it also uses the techniques of monovision and blended vision. Thus the optical system can focus both distant and close up objects in the retina allowing you to see at all distances. With Óptima Próxima one eye can see at a distance while the other specialises in seeing close up. Since the act of seeing is a biocular activity (seeing with both eyes at the same time) the result is a useful and functional visual system at all distances. A rigorous preoperative study serves to assure us that this treatment is right for you. What is the day of the Operation Like? Finally the day to stop depending on glasses is here. The options have been assessed and the best treatment has been chosen for your individual needs. Thanks for trusting in Vistaláser and our doctors. During the preparatory tests we have indicated what the day of the operation will be like. Follow the instructions we have provided, everything is under control. Try to get a good night’s sleep before the operation, follow our steps for the procedure and don’t forget to bring some sunglasses for after surgery. You will be awake throughout the operation, the sedative we provide will help you to relax and the anaesthetic drops will ensure that you don’t feel a thing. Relax; the surgery will be over in 15 minutes. You will relax afterwards in a dark room and finally we will inform you of the steps to take post-surgery and when your next revision is. Start your new life without glasses! Is there an alternative to progressive glasses? Indeed, in Vistalaser Ophthalmology we offer two alternatives to the progressive glasses: Laser surgery or multifocal intraocular lens implantation. By means of eye exams we can determine which is the best solution for you. Unfortunately presbyopia is a visual problem linked to aging, so far not been able to develop any effective treatment to prevent development. If I have nearsightedness, farsightedness or astigmatism; I can operate my presbyopia? In preoperative tests our specialists detect any refractive problem in their eyes, if necessary can correct the problems of nearsightedness, farsightedness and astigmatism well as presbyopia. Will I feel pain during or after surgery? Both laser operation, such as intraocular lens implants do not cause any pain during the procedure, because we use local anesthetic eye drops. During operation, all you will notice is like water flowing, because we keep the eye hydrated with saline. Also you will notice the speculum, a medical instrument that allows us to immobilize the eyelids. After the operation it can disturb the excess of light due to dilation of pupils, and a slight sensation of brush that disappears in a few hours. When can I return to normal life? After laser surgery to correct presbyopia the patient begins to enjoy the results in a few hours and the next day you can return to your daily activities. Patients with intraocular lens implantation can also enjoy the results the next day, however we do not operate both eyes on the same intervention, we must wait a few days to have both eyes corrected. I need cataract surgery in the future? Patients undergoing laser surgery may need cataract surgery in the future, as its lens can lose transparency over the years and should be replaced. Instead patients operated with lens implant prevent cataract operation, because they kill two birds with one stone. Replacing the natural lens with an artificial lens corrects presbyopia and also avoid cataracts. The cost of surgery depends on the treatment for presbyopia that we make, these are the prices funded for 12 months without interest, arrangement fee not included. Patients that will be operated with intraocular lens and need special lenses for astigmatism should consult price with the clinic. Specialists can only offer you the best option for you by having all the necessary equipment to carry out all kinds of prodeures.